Perhaps someday we’ll colonize Mars and we’ll become less fascinated by its mysteries. That probably won’t happen in my lifetime, so in the meantime, we get more science-fiction efforts like 2017’s Life. The crew on the International Space Station (ISS) manages to collect a space probe as it returns from Mars. This device includes a sample of matter it gathered on the Red Planet. At first, this discovery causes excitement, as it implies evidence of extraterrestrial life. However, enthusiasm soon turns to fear, as the alien organism becomes a terrifying threat. Based on that synopsis, you might think Life sounds an awful lot like a reworking of 1979’s Alien - and you might be right. While not an overt rip-off of the Ridley Scott classic, Life clearly acts as its offspring. Which doesn’t necessarily make it bad, of course. Movies can wear their influences overtly and still be entertaining and enjoyable. Unfortunately, Life fizzles on too many levels to be more than just a third-rate Alien-style “monster in space” story. Its storytelling doesn’t help, as Life opens with a somewhat off-putting prologue. Our first introduction to the crew focuses on action over exposition, and this doesn’t work. In theory, the opening could be a dynamic way to get us into the film, but the sequence lacks the excitement necessary to overcome its generic feel. We have to wait about 15 minutes to learn much about the characters and themes, so without a more involving intro, we already feel detached from the narrative by the time we finally get some information. Even when we do learn about the participants, they never elevate over generic qualities. They seem like bland archetypes and we don’t develop much of a bond or connection with any of them, factors that rob the movie of tension and drama. It doesn’t help that the action scenes progress along a predictable line, and Jon Ekstrand’s score proves to be an oppressive presence. The music overhypes so much of the tale that it damages any attempts at excitement or scares – when the score tries so hard to tell us how to feel, it results in diminished emotional response. None of these factors make Life a terrible sci-fi tale, as it manages the occasional jolt of adrenaline. However, with bland characters and a melodramatic narrative arc, the movie lacks much to make it memorable. Life appears in an aspect ratio of approximately 2.39:1 on this Blu-ray Disc. This became a strong visual presentation. At all times, sharpness excelled. If the movie suffered from any soft spots, they never became apparent, as the film remained tight and concise. No signs of jagged edges or moiré effects materialized, and I also saw no edge haloes or print flaws. In terms of palette, Life opted for a subdued teal impression with some amber along for the ride as well. The colors suited the narrative and looked positive. Blacks appeared dark and tight, while shadows showed nice smoothness and clarity. The image seemed terrific. In addition, the movie’s DTS-HD MA 7.1 soundtrack worked well. With its space station setting and alien action, the mix boasted many good opportunities for sonic pizzazz, and it took advantage of them. Music fleshed out all the channels in an engrossing manner, and effects used the soundscape in a compelling way. Quieter scenes made nice use of ambient information, while more action-oriented material created a vivid sense of the drama. All of this meshed together well and formed a lively impression. Audio quality also worked well. Speech seemed natural and distinctive, without edginess or other concerns. Music boasted nice range and punch, and effects excelled. Those elements came across as tight and bold, with rich, firm low-end response. We ended up with a top-notch sonic experience. 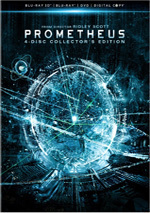 Three featurettes appear, and these open with In Zero G. It runs six minutes, 54 seconds and includes comments from director Daniel Espinosa, medical space specialist Dr. Kevin Fong, movement coach Alexandra Reynolds, stunt coordinator Franklin Henson, and actors Jake Gyllenhaal, Ryan Reynolds, Rebecca Ferguson, Hiroyuki Sanada, Ariyon Bakare and Olga Dihovichnaya. “Zero” looks at costumes, props and attempts to recreate a space setting on film. Though brief, the featurette adds some good information. For the seven-minute, seven-second Creating Life, we hear from Espinosa, Fong, producers David Ellison and Dana Goldberg, screenwriters Rhett Reese and Paul Wernick, geneticist Dr. Adam Rutherford, supervising art director Marc Homes, and co-visual effects supervisor Tom Debenham. The show looks at research into possible alien life forms and the design of the movie’s creature. Like “Zero”, “Creating” brings us a pretty interesting little overview. Creating a Thriller in Space lasts seven minutes, 28 seconds and features Espinosa, Gyllenhaal, Bakare, Sanada, Ferguson, Reese, Ellison, Goldberg, Ryan Reynolds, Homes, and Fong. “Thriller” offers a mix of production basics related to story, characters, set design, and attempts at realism. It tells us little of substance. Six Deleted Scenes fill a total of five minutes, 49 seconds. Of these, the sixth – entitled “Sho and Jordan Talk” – runs by far the longest, as it goes for two minutes, 41 seconds. It gives us additional info about the Sho character – on its own it adds some value, but it would’ve slowed down the movie too much. As for the rest, they throw out minor beats and don’t do much to expand the story or roles. I’m especially glad they lost the jokey line “in space everyone can hear you sing” since it makes the film’s Alien connection too overt. Finally, Astronaut Diaries takes up three minutes. These give us in-character chats about their thoughts. The “Diaries” offer minor entertainment. The disc opens with ads for Passengers, Baby Driver, Rough Night, Resident Evil: The Final Chapter, Resident Evil: Vendetta and T2: Trainspotting. No trailer for Life appears here. 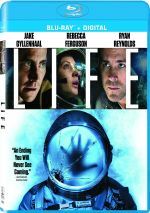 A mediocre riff on Alien, Life fails to deliver a memorable cinematic experience. While it gives us a handful of decent thrills, too much of the movie seems bland and predictable. The Blu-ray offers excellent picture and audio along with a small set of supplements. I want to like Life but the end result leaves me cold.